Are you feeling stuck somewhere in the middle of the story of your life? You can’t quite put your finger on what’s missing or what’s keeping you from moving forward. Could it be confusion, procrastination, fear of change or failure, lack of self-confidence, or a little of each? Do you wish someone could help you figure it out or just tell you what to do? Not long ago, I was in that place. I was stuck, unclear and had an emptiness in my soul, not knowing what my story should be. Then little by little I began to create a vision for what the next chapter of my life should look like. If I can do it, you can do it too!! Trust that you are strong and courageous and you don’t have to figure it out alone! On my path, I discovered that there were people who believed in me and encouraged me to create a vision and keep going. They helped me see the possibilities and supported me as I grew stronger and did things I never thought I could do. It was then that I started my next chapter. are willing to stretch yourself and want fulfillment, satisfaction and positive change in your life. Are you ready to begin the next incredible chapter of your life? It would be my pleasure to help you create the outline. 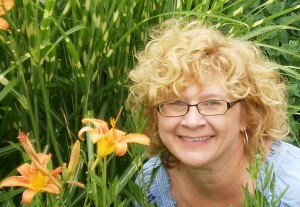 I’m Cathy Colangelo, creator of Your Life is Now, Coaching and Retreats. Before I began my career as a professional coach and business owner, I worked in the Human Resources field for – let’s just say – quite a while. After a conversation that I had with my dad before he passed away, I realized I needed to make a change and live a life without regret. After some soul-searching and with support from positive people, I decided to use my skills and corporate and life experience to make my life “happen” and help others do the same. 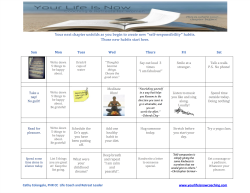 So I designed “Your Life is Now” to connect with other women who know that they want more out of life ~ more fun, fulfillment, happiness, direction ~ and are ready to stretch themselves past their limiting beliefs (we all have them, it’s okay), take a look inside and stand in their own power. I draw on my past experience, my sense of humor, warm spirit (if I do say so myself) and empathy to motivate and guide my clients towards taking the “baby steps” they need to take to move their lives forward. I believe we have all the courage and wisdom we need to “live big”, “dream big” and “believe big”! It’s inside of us just waiting to be tapped and released. My goal and passion is to help you begin digging deep, envisioning your potential and start living your life NOW! We DO write our own story. Contact me for a Complimentary Coaching Session.